Never Let Me Go - Finally. Yes, we are just getting this in cinemas. I probably won't get to see it until next weekend though, so I'll have to wait a little longer. Early reviews from this side of the earth haven't been fantastic, but I don't care. 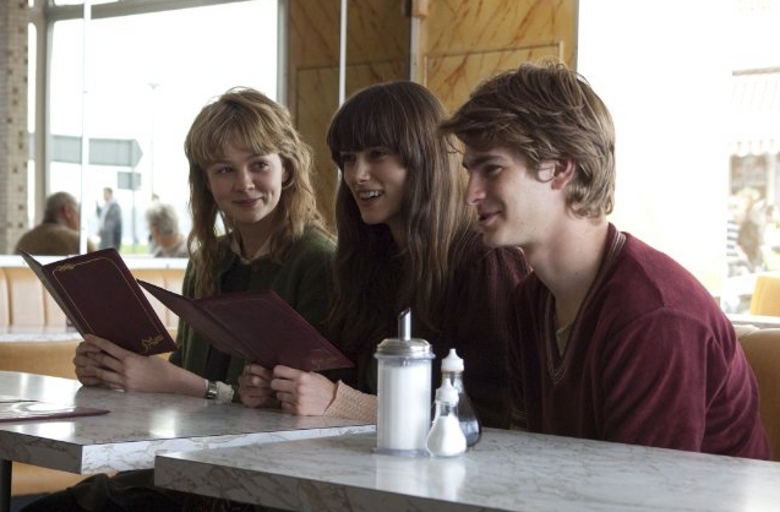 Carey Mulligan, Keira Knightley and the beautiful Andrew Garfield are perfect. And this sounds exactly like my type of movie. Especially as I'm having this strange Brit phase at the moment. Limitless - I actually do like the look of this one. I don't care what everyone else thinks about Bradley Cooper. I genuinely like the man. Abbie Cornish is also in this one. This week she has this coming out in America, and next week she has Sucker Punch. She's on a roll of late! And Robert De Niro hasn't really been in many great movies lately, and seems to fade into the background. It's been getting average reviews, but if I get the chance I will definitely go see it! My Wedding and Other Secrets - Yeah, you probably haven't heard of this one because this is New Zealand made, and unless you have gone to the cinemas in NZ in the past two months you probably wouldn't have a clue about it. After seeing the trailer attached to all of the movies I went and saw at the cinemas recently, I came to the conclusion that this looks utterly formulaic, quite awkward and just another homegrown humour type deal that seemed to work for Boy so well. Meh, it's got some good reviews, but even though it's a movie from my own country, I won't make any effort to see it. 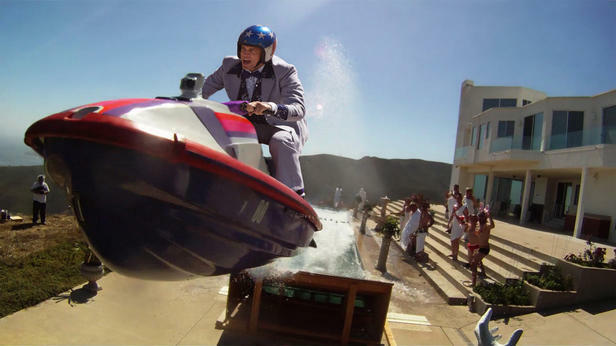 Jackass 3 - I really don't get this franchise. So it's a whole lot of people who go around causing themselves bodily harm, right? And it used to be an MTV program, yes? Well, I gave it a miss. I personally have no interest in such a film. Cyrus - I watched this the other night and I can't say I was over the moon with it. 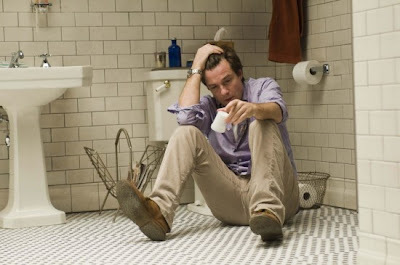 It was a cool enough movie, but I just didn't wow me and felt so slight. Review will be up soon. But hey, I was just wondering, thoughts on Marisa Tomei? I've always kinda liked her, but she's never been the kind of actress that's stood out for me. That's pretty much the same for John C. Reilly and Jonah Hill. 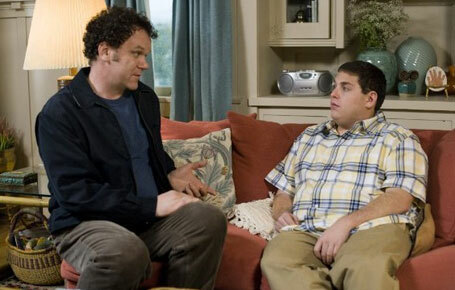 In fact, Jonah Hill was rather random in this movie. The Switch - Why was such a likeable cast in this? Jason Bateman, Patrick Wilson and Juliette Lewis. I like them all a lot. But this movie was so bland. It wasn't as bad as I thought it would be, being a Jennifer Aniston movie which tackles the popular topic of artificial insemination and all. But there weren't any laugh out loud moments. That's too much to expect from romantic comedies these days. Any thoughts on these movies? I don't understand why I like Bradley Cooper...I just do. Right there with you on Jackass...it's almost as random as people liking Saw (which is disgusting). John C Reilly is awesome. He was great in Boogie Nights and Magnolia, he's definitely one of the most reliable supporting actors around these days. Normally I would see anything with De Niro in as he's my favourite actor, but his recent work has been so disappointing that I think I'll skip Limitness. Nikhat - I really I hope I love Never Let Me Go. Well, I know I will. I just like Bradley Cooper, too. And Saw is disgusting. So many sadistic people like it! Jack - I agree with you there. John C Reilly is the man. 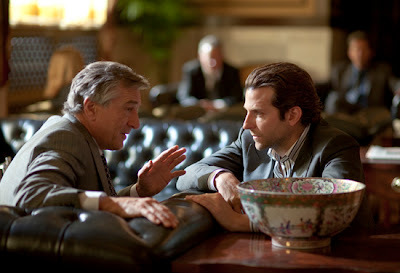 I would see anything with De Niro in it too, but looking at his recent movies he doesn't have a lot to be proud of.